Sydney, Australia, August 9, 2010 – Prime Minister Julia Gillard and Opposition Leader Tony Abbott will be holding a people’s forum at Rooty Hill RSL on Wednesday, 11 August 2010 from 6.00pm. The event will be facilitated by political editor David Speers and telecast live across Australia. The audience, which will include approximately 200 swinging voters from Western Sydney chosen by Galaxy Research, as well as media representatives, will have the opportunity to ask the Prime Minister and Opposition Leader questions related to their policies and in particular, how it affects the local community. A limited number of seats are available for media representatives for this event. To attend this media call or for further information regarding the Gillard, Abbott Q&A session, please contact Christine Kardashian at Dash PR on 02 8084 0705 / 0416 005 703 or email chris@dashpr.com.au. 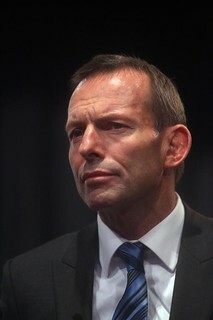 Sydney, Australia, August 9, 2010 – Rooty Hill RSL, Australia’s largest RSL club, will host the highly anticipated people’s forum with Prime Minister Julia Gillard and Opposition Leader Tony Abbott. The event will be held on Wednesday, 11 August 2010 from 6.00pm, facilitated by political editor David Speers and telecast live across Australia. Rooty Hill RSL is at the heart of Western Sydney and has been chosen as the location for the Prime Minister and Opposition Leader to connect with key local voters. Both leaders have acknowledged Western Sydney is the key to gaining significant support in New South Wales as the area is one of the largest communities in Australia. With so many venues available, Rooty Hill RSL was chosen at this crucial time of the election campaign not only for its location, but for its iconic status, media relations, community awareness and its ability to service an event of this stature. Large enough to be its own suburb, Rooty Hill RSL is fighting for its own postcode – justifiably, the club is the hub of entertainment and leisure with its own state of the art gym, four star hotel, AMF Bowling and M9 Laser Skirmish centre, five eateries, youth club and child minding facilities, as well as a premier function centre. To further enhance its market leading position, Rooty Hill RSL is now going green. The installation of its own tri-generation power plant which is expected to reduce carbon emissions by 50% will be completed in the coming weeks and will further serve the interests of the community and the environment alike. The success of the club and the reason it has been asked to host this event is a testament to the new direction Rooty Hill RSL has seen in the last three years – the spirit of the staff, the support of its members and the real relationship it has with the community it serves. Rooty Hill RSL is a ‘politician’s backyard’ and the ideal location for the Prime Minister and Opposition Leader to hold a public forum with one of the largest communities in the New South Wales region. The audience, which will include approximately 200 swinging voters from Western Sydney chosen by Galaxy Research, as well as media representatives, will have the opportunity to ask the Prime Minister and Opposition Leader questions related to their policies and in particular, how it affects the local community. The question may also be put to Australia’s leaders on why Rooty Hill RSL does not have its own postcode given its size, status and community relevance. Rooty Hill RSL is the largest RSL and leading club in Australia. Established over forty years ago, Rooty Hill RSL is the premier entertainment, function and leisure facility that includes AMF Bowling and M9 Laser Skirmish centre, One55 Health & Fitness state of the art gym, Novotel Hotel premium accommodation, five eateries under one roof, as well as its own tri-generation power plant. With a population of over 40,000, Rooty Hill RSL is currently petitioning for its own postcode. For more information, visit www.rootyhillrsl.com.au.